Barcelona captain Xavi Hernandez played his final La Liga game for his boyhood club and broke down in tears following his substitution in Barcelona’s draw with Deportivo La Coruna on 23 May. 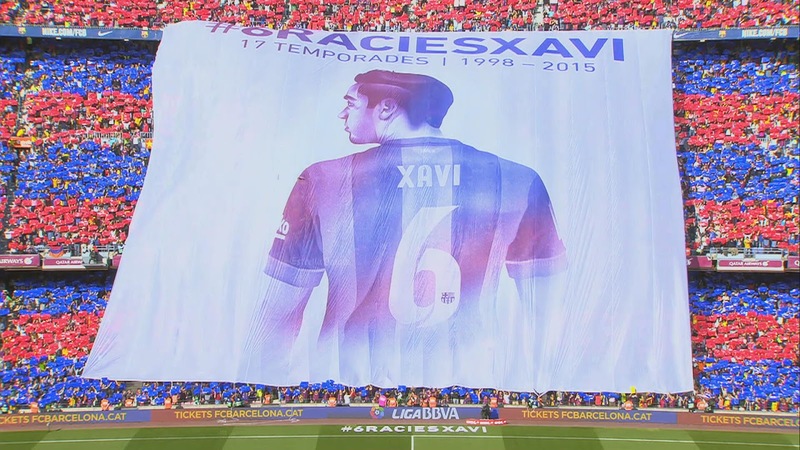 Xavi started the match with all the celebration of a champion as the player with the most titles in club history bid farewell to the crowd that has held him with such high regard throughout his storied career. 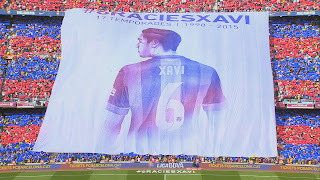 Xavi received the goodbye that Carles Puyol and Victor Valdes were never able to receive as the iconic midfielder’s departure closes the end of an era. Xavi has spent all of his footballing life at the Camp Nou having joined Barca when he was only at the tender age of 11 years. He quickly made his way through the youth and reserve teams and was a key member of Jordi Gonzalvo's FC Barcelona B team that won promotion to the Segunda Division. Having captained Spain at youth level, the midfielder has not missed a major tournament since making his senior debut in November 2000 and was the shining light in a Spain midfield already overflowing with world-class talent. Having been at the Nou Camp for 24 years, Xavi is the living embodiment of Barcelona's philosophy of artful and aesthetically-pleasing football and is undoubtedly one of the globe's leading playmakers. After taking up the mantle of dictating Barca's engine in 2001, Xavi has become the central cog in one of Europe's finest clubs and enjoys an intuitive understanding with Barca, constructing what Sir Alex Ferguson has described as the Catalans' "passing carousel". If you ask Barcelona and Spain fans about their most cherished footballing memories over the past decade the chances are they will involve an exquisite intervention from midfield maestro Xavi. Widely regarded as one of the best playmakers the game has produced, Xavi has been the tireless dynamo at the heart of a glittering run for his club and country, effortlessly controlling play in the and able to pierce even the most stubborn defences in a heartbeat. 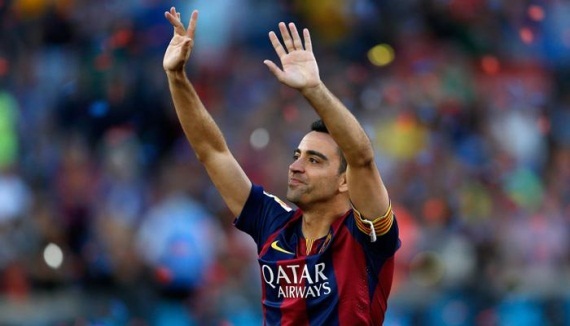 Xavi, will take road to Qatar at the end of this season and should enjoy a luxury retirement at the age of 35. He will also work with Qatar’s Aspire Academy, become an ambassador for the 2022 World Cup to be held in the Gulf state, which is one of Barcelona’s main sponsors, and aim to start his coaching qualifications, his agent, Ivan Corretja, told Reuters. “I will come back as coach or manager,” Xavi said. Sure, he will, but the Spanish soccer and Barcelona supporters are already breaking into tears due to the end of the top-level career of a player that overcame the difficulties in order to make the possession style prevail. Now, after 17 years in the elite and 26 trophies lifted, he will undoubtedly keep in the retina of soccer fans as the brilliant conductor of the most seductive orchestra. Virtuous melody composed by intelligence, leadership and a glove as a foot. As well a stubborn conviction in a model; a style already created by his club, his home, but which he contributed to raise to the top. It wasn’t easy, because he had to fight during his early years with the heavy slab of replacing Pep Guardiola. He also had to impose his skills with the trendy physical soccer of the early 2000s. He succeeded after some years being a supporting actor. Hence he became the insignia of the glorious age of the Barcelona and Spanish national team. He showed the world that the ball runs better when it passionately kisses the grass. Xavi was the elegant and subtle motor of the national team when they conquered the world. With Spain, he helped end a 44-year trophy drought at Euro 2008, sending Fernando Torres clear to score the winner against Germany in the final, and went on to lead La Roja to their first World Cup success in 2010 and another continental crown two years later. Spain destroyed Italy 4-0 in the Euro 2012 final in Kiev, when Xavi created two of their goals including another for Torres, and the general consensus after the news emerged he had agreed a three-year deal with Qatari club Al Sadd was that Spain is unlikely to see a player of his quality again anytime soon. He reached his higher performance and assumed he was the player destined to lead, to govern, to pause and control the game. A magician of filtering the ball with unusual clairvoyance, and keeping it away from the opponents. The best defence is a good attack, they say. Talent sculpted at La Masía by Johan Cruyff's philosophy and dressed with a gentleman's pose which has been recognised wherever he has played along the last years and with a Príncipe de Asturias award, shared with his friend Iker Casillas regarding their aim to unite the Spanish national team during the toughest moments. A list of abilities that allow him to collect the most important titles (World Cup, European Championship, Champions League, Spanish La Liga…) despite this he never lifted the Ballon D’Or which probably he deserved. However, his career is outstanding until the point we will be more reminded of his influence on the game than the amount of titles he lifted. If the Spanish club conquer the Europe this weekend, that would be a perfect farewell according to his legacy. Thereby, let´s take a seat and enjoy the last accords of the waltz.